Brač Island is the largest island in Dalmatia, most famously known for Zlatni Rat, the beautiful pebble beach in Bol. The Zlatni Rat is surrounded by one of the cleanest seas in the world, the Adriatic which has crystal clear water and the warm Mediterranean weather makes it pleasant to swim in during summer time. Brac Island is the highest of all islands in the Adriatic with its highest peak, Vidova Gora, standing at 780m. 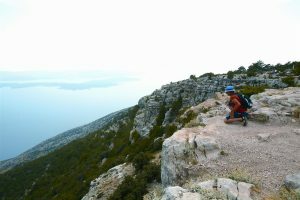 Vidova Gora boasts a fun hiking trail where you can climb to the peak and experience spectacular views of Brac, the sparkling Adriatic Sea and even see as far over the water as Hvar Island. 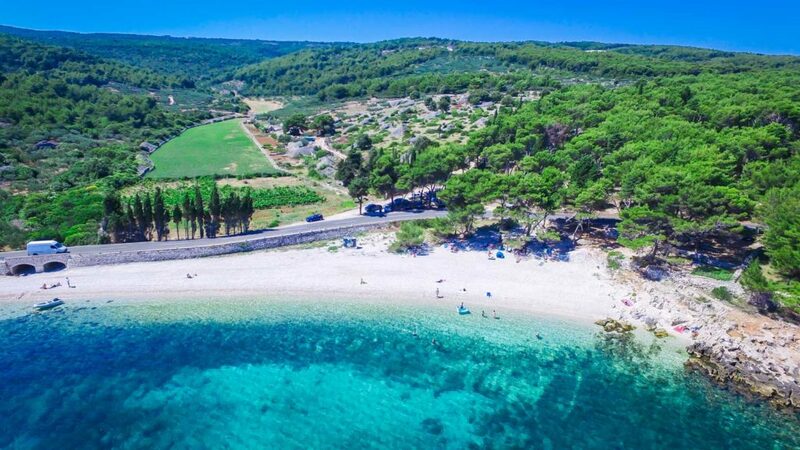 As well as the world-famous beach, Brac is also known as the Island of Stone due to the white limestone that has been used for centuries in historic buildings and architectural masterpieces including Diocletian’s Palace in Split and the White House in Washington DC. 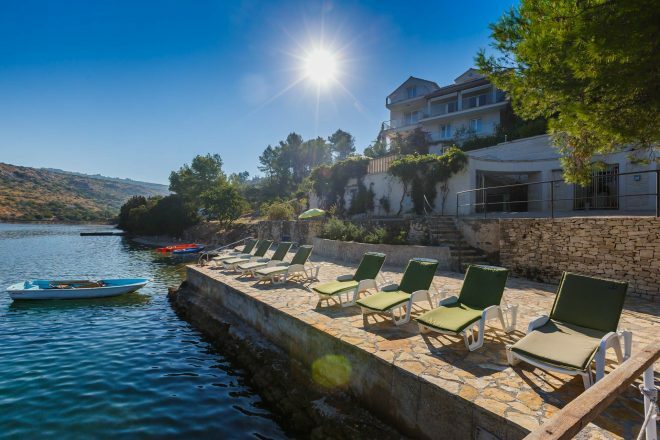 While in Brac, you are sure to sample the finest goat’s cheese and true Croatian wines and olive oils. 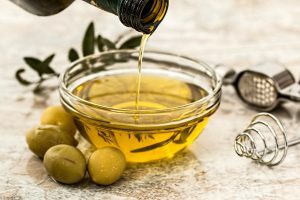 Olive groves and vineyards are in abundance throughout Croatia, with each island and city boasting their own collections that have been cultivating since as far back as 1655. 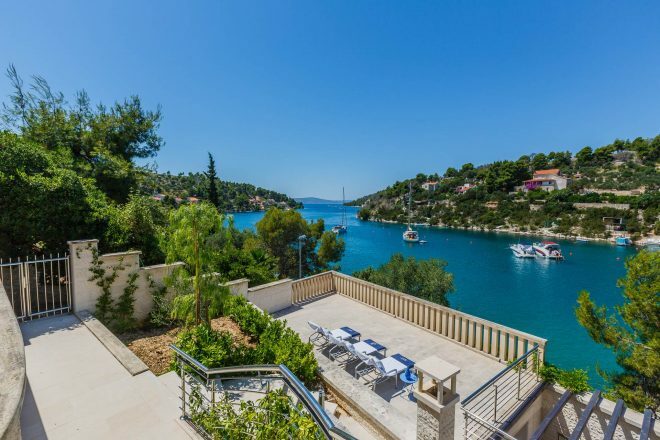 Sumartin is a quaint port village with lovely beaches, authentic seafood dishes and ferry’s which can offer you easy access to surrounding areas such as Makarska. 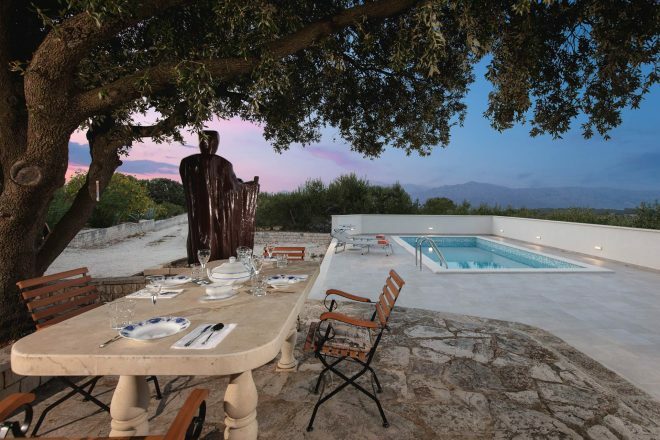 Mirca is a small village close to Supetar with numerous vineyards and olive groves as well as the beautifully historic Parish Church, built in 1733. Makarac Bay provides peace and tranquillity away from the large crowds with a lush green surrounding. Milna boasts a bustling marina which has been the port to sailors for many years, it is a historic part of Brac as well as a favoured nautical destination. Supetar is the biggest settlement on Brac Island and the most popular destination with pebbled beaches, historic monuments and ample restaurants, cafes and bars. 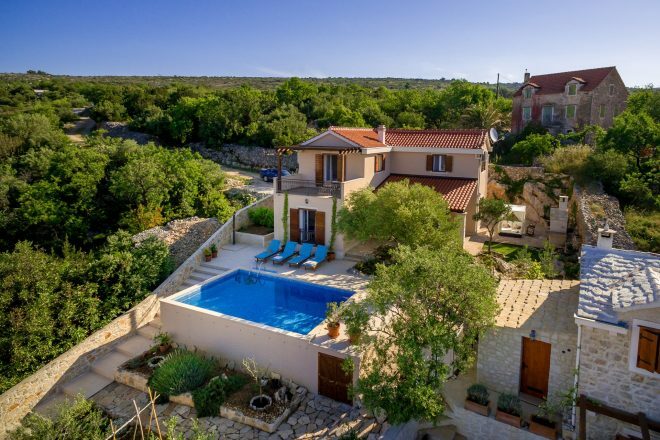 View our range of villas throughout Brac Island below and plan your perfect Brac Croatia holiday. 9 AD marked the founding of the Roman province of Dalmatia, Salona became the main hub of activity and generally, no larger villages and towns were founded. Although Brač seemed to escape Roman rule, there is still evidence of the Roman presence including presses for wine and oil and remains of the ports such as Split, Bol and bay Lovrečina. Croats found their way to Brac Island in the 7th century with the island eventually becoming part of their kingdom in the 10th century. Starting in the 12th century, Brač played host to multiple rulers, from Venetians to Hungarians until finally settling in 1420 to the Venetian Republic, which started its long-term administration. From the late 18th century to the present Brač was under the French, the Austro-Hungarian Empire and Yugoslavia until creating the Croatian Republic. Although the gastronomy on Brač Island is made up mainly of seafood as you may expect on an island, it is most known for is its lamb. Lamb which is not yet fed on grass but its mother’s milk is famous on the island of Brač and has been used in meals since ancient times. Vitalac, a traditional dish, is lamb offal stacked on a thin skewer and rotated on coals. Butalac, is stuffed lamb rubbed with aromatic herbs and splashed with wine and also Tingul which is stewed lamb. We recommend you try an assortment of food that often appears on Brač tables such as Fazoli, Chickpeas, Peas or Beans, prepared with pasta, and an array of meats. Like other Dalmatian Islands, Brač has an abundance of rich olive groves that provide a high-quality oil. One we highly recommend is the Orvas olive oil, extra virgin which is obtained from hand-picked olives and tastes like fruit, but it is also bitter and spicy. We also recommend hrapoćuša, or Dol Cake, a cake full of ground almonds and caramelised walnuts that are named after the rocky caves found in the village. Procip is a fresh cheese that is cut into slices and baked in caramelised sugar. If drinking is more your thing, then you must taste Smutica which is a delicious beverage made from 1/5 red wine and 4/5 fresh goat milk which was said to have been recommended by Hippocrates, a Greek physician from Kos. Like many of the speciality recipes on Brač Island, it has remained preserved from ancient times until today. You are sure to feel like a local and enjoy the cultural delicacies that this rich island has to offer. View our reasons to visit Brac article to see why you should visit this wonderful island on your Croatian holiday. Because of its diverse natural environment and rich cultural heritage, Brač has a lot to offer to its visitors. founded in the 16th century by the Glagolitic monks who were escaping from the Turks. It is a truly historic marvel that was cared for by monks for over 400 years and something you must see on your visit to Brač. Dragon Cave – Again created in the 16th century by Glagolitic monks, Dragon’s Cave or Zmajeva spiljais a bit harder to get to and only really possible with a guide and those willing to partake in a tough hike. The cave itself is named of the carvings on the wall made up of angels, something and dragons which make for a fascinating spiritual experience. Dol Village – Dol is a village of authentic Brač heritage and spirit. The rough stone, rich forest and unique architecture are what make this small village a delight for someone wishing to find true Croatian culture. The friendly locals live off the land and it is the place to visit for true cuisines such as lamb, wine and fresh olive oil. 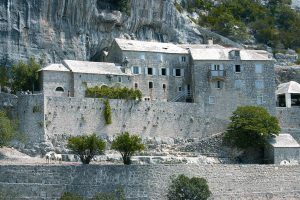 Brač’s quarries – Brač is an island famous for its masonry and the beautiful white stone which has helped build many powerful buildings such as Diocletian’s Palace in Split, the ancient city of Salon, parliament buildings and even the White House. You don’t have to look far to find the white stone, but the ancient Roman quarries such as Rasohe show the remains of the ancient work that went into buildings such as Diocletian’s Palace. Vidova Gora – this is the highest peak on the island and worth a trek to see the magnificent views of Brač as well as the surrounding islands. Whether you choose to hike to the highest point or stop further down, you will not be disappointed with the view. The Island Of Brač Museum – The Brač Museum is conveniently located in Škrip, the oldest settlement on the island, where visitors can see traces of Illyrian, Roman and Croatian culture. Stonemasonry School – Brač is known for its stone and the ancient practice of stonemasonry, so much so that there is a school dedicated to the trade. During the school year, you can visit it and see the students how they create new works. Kopačina Cave – this is the most interesting prehistoric site where archaeologists found the oldest traces of the people on the island. It dates back to the Bronze Age. Nerežišća Bonsai Tree – In Nerežišća, at the centre of the Island, you will find one of the most interesting sights found on Brac. Emerging from the roof tiles of the St Peters Church is a black pine Bonsai Tree. Despite reportedly being over 100 years old the tree stands at a meter tall. The site has been protected as a natural heritage site since 1969.